Yongjie Jessica Zhang is a professor in the Department of Mechanical Engineering at Carnegie Mellon University with a courtesy appointment in the Department of Biomedical Engineering. She received her B.Eng. in Automotive Engineering and M.Eng. in Engineering Mechanics from Tsinghua University, China, and M.Eng. in Aerospace Engineering and Engineering Mechanics, and Ph.D. in Computational Engineering and Sciences from the Institute for Computational Engineering and Sciences (ICES), the University of Texas at Austin. 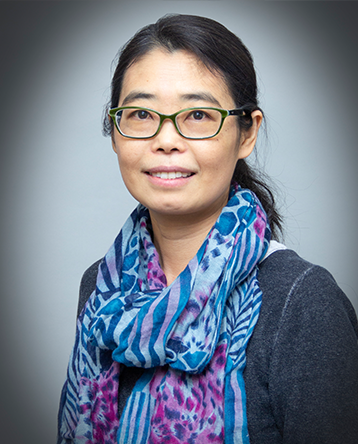 Zhang’s research interests include computational geometry, mesh generation, computer graphics, visualization, finite element method, isogeometric analysis, and their application in computational biomedicine and engineering. Researchers in Zhang’s group develop novel algorithms on biomodeling at molecular, cellular, tissue, and organ scales, and explore applications in various application fields. Zhang has co-authored over 160 publications in peer-reviewed international journals and conference proceedings. She is the recipient of the ELATE Fellowship at Drexel, the Presidential Early Career Award for Scientists and Engineers, the NSF CAREER Award, the Office of Naval Research Young Investigator Award, the US Association for Computational Mechanics (USACM) Gallagher Young Investigator Award, the Clarence H. Adamson Career Faculty Fellow in Mechanical Engineering, the George Tallman Ladd Research Award, and the Donald L. & Rhonda Struminger Faculty Fellow. She is also a Fellow of USACM. MechE’s Jessica Zhang is playing an important leadership role in three prestigious research associations: the USACM, the IACM, and the SMA. Jessica Zhang and Lining Yao earn a Manufacturing Futures Initiative (MFI) award to develop fiber-reinforced composite structures through a process called 4D printing. Engineering Professors Ge Yang and Jessica Zhang are using complex geometric analysis to learn about neuron function and unlock the mysteries of the human brain. MechE’s Jessica Zhang and her collaborators Zhonggui Chen and Juan Cao received a Best Paper award at the 2018 Solid and Physical Modeling conference. MechE's Jessica Zhang has been chosen to give a semi-plenary talk at the 13th World Conference in Computational Mechanics (WCCM2018), and the keynote speech at the 3rd Conference on Isogeometric Analysis and Applications, and is also serving on the steering committee for IGA2018: Integrating Design and Analysis. Mechanical Engineering Professor Yongjie Jessica Zhang has been accepted to participate in the 2017-2018 Executive Leadership in Academic Technology and Engineering (ELATE at Drexel) Program. MechE’s Jessica Zhang has been accepted to participate in the 2017-2018 Executive Leadership in Academic Technology and Engineering (ELATE at Drexel) Program. Throughout the course of the program, Zhang will focus on strengthening her skills in resource management, leadership effectiveness, and organizational dynamics. MechE’s Jessica Zhang has been elected as a new member of the Executive Committee of the Solid Modeling Association (SMA).